Powered by the 900 DMIPS Integrated Processor, 128MB DDR3 and 8MB Flash. The unit provides analogue video (CVBS, L+R Audio), HDMI 1.3, USB 2.0 and S/PDIF. 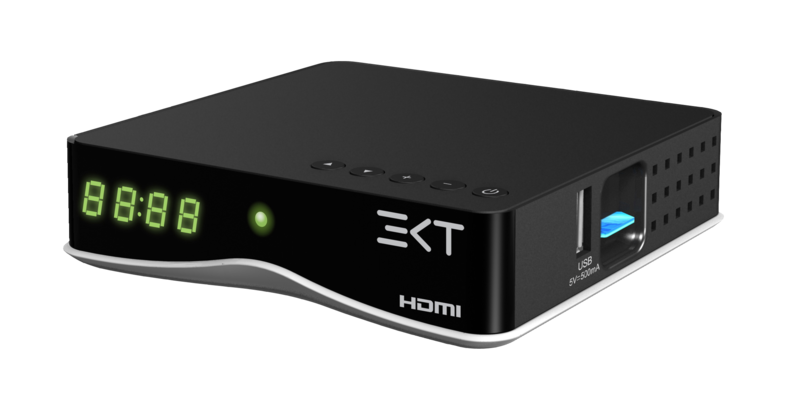 EKTs own “Liquid” middleware has been used with features including storage for 1000+ TV and radio programs, multiple language support, a 7-day EPG with support for subtitles, closed captions and Teletext, Parental rating, including Brazilian system, a USB PVR and a Media player. EKT uses a Dutch design house for its industrial designs and the DCD7314 is displayed in the beautifully styled “mini illuminati” housing, which features 5 buttons, 7-Segment display, optional SIM card or Smart card. Further housing options are available.